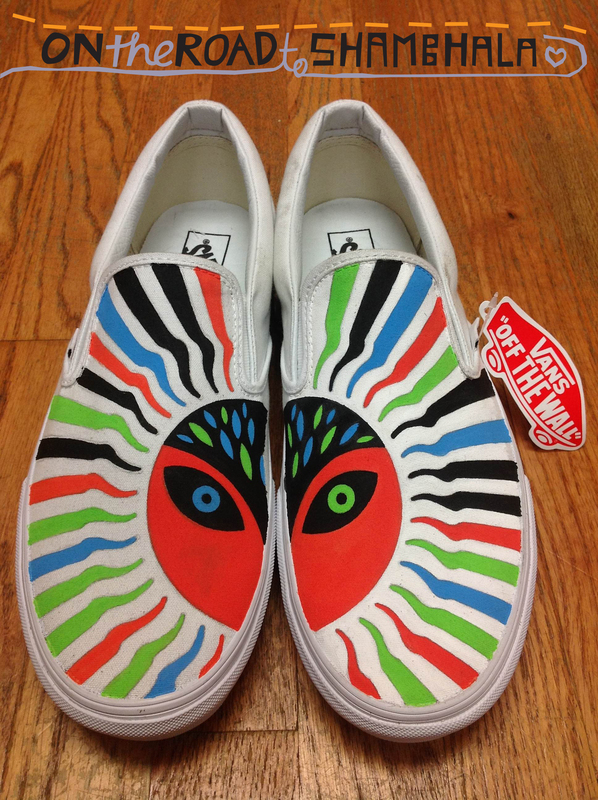 You have a chance to win a ticket to Shambhala 2013 and a sweet custom “Shambassador” pair of Vans by Shed Designs between July 12th – July 19th by following shambhalamusicfestival and reposting our Official “On the Road” Mixes to your Soundcloud! SO FAR: Three days, 4 mixes! We kicked off 7 days of On the Road to Shambhala Mixes with Mat the Alien’s On the Road to Shambhala Official Mix on Friday. Saturday, FAT PAT brought us the sounds of The Village Stage with his On the Road to the Village Taste Test Mix. Sunday, GWIL & AUSTRIPIN repped the Lab with TWO On the Road to the Labyrinth & Nebula stage mixes. 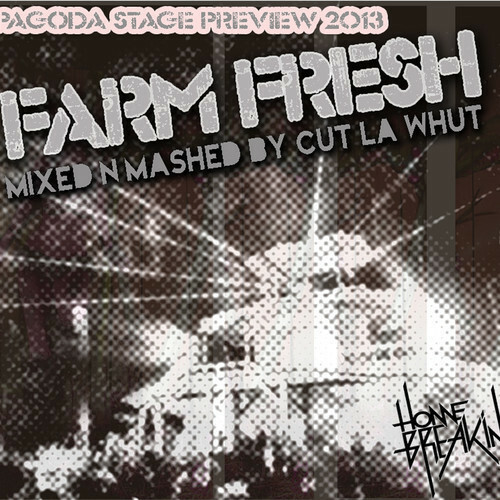 Today we’ve got a FARM FRESH On the Road to the Pagoda mix by Cut La Whut. Shambhala’s Stew Bot caught up with Cut and asked him a few questions. SB: So, how did you get into DJing? CLW: King Weep. I lived with this cat in Wyoming who used to work for Tower Records in NYC and he had a massive collection of hip hop, house, breaks, dnb and i used to sit at the house and just watch and listen to all the tricks of the mix. The skills and precision it took had me hooked immediately. SB: Thats cool. Being from Wyoming, how did that effect your upbringing or introduction to music? CLW: It was pretty bleak where i grew up. Luckily I had a escape vehicle in the form of a skateboard. The music and art of skate culture definitely saved me. It made me travel search for new surroundings. Skate life always seemed to have some sort of music surrounding it whether it was punk, metal, hip hop or whatever. Then after living with a turntablist it just changed everything. SB: If you could DJ one gig in the world what would it be? SB: Ok, 5 words to describe Shambhala Music Festival. GO! CLW: EPIC – BABERAVE – MASSIVE – HOMEBREAKIN – SENSORY BLISS. Oh wait, thats six words. Is that cool? Come check out Cut la Whut on Saturday at the Living Room Stage at 2pm for a daytime beach party and then later on that night over at the Pagoda at 2:30 AM. You can keep up with his travels, show dates, and download all the freshness right here on the introweb…. Each new shambhalamusicfestival Soundcloud follower between July 12th – 19th 2013 will be entered into the sweepstakes. Already a follower? No problem! We’ll enter you into the sweepstakes for each time you repost a 2013 mix hosted on the shambhalamusicfestival Soundcloud to your Soundcloud. Remember – you get one entry into the draw for each “On the Road” mix you repost, so check back everyday, and repost those mixes! More “On the Road” mixes comin’ at ya in the next 3 days! Much love, and good luck! This entry was posted in Music and tagged 2013, Community, Creativity, Culture, Cut La Whut, DJs, Electronic Music, Farm Fresh, Farmily, Festival, Homebreakin, Living Room, Love, Mix, Music, On the Road, On the Road to Shambhala, Pagoda, Shambhala, Shambhala 2013, Shambhalove, Soundcloud, Vibe. Bookmark the permalink. Is this guy a babe or what? Am I right or am I right??? Baberave!